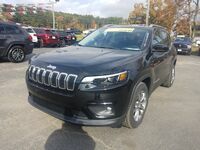 Nothing compares to the ruggedness and off-road ability of a Jeep and that is why you are interested in the 2019 Jeep Cherokee and the Grand Cherokee. Both of these bold and beautiful vehicles embody what it means to be branded a Jeep and that is why they both get loaded with powerful and efficient engine options as well as available All-Wheel Drive for unmatched performance navigating the concrete jungle or the off-road trail. 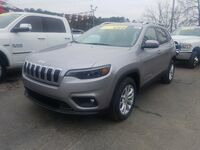 Find out all the similarities and differences between the 2019 Jeep Cherokee and Grand Cherokee right here below and you can find both of these adventure-ready SUVs waiting for you on the lot at Cowboy Jeep in Clinton, AR right now. 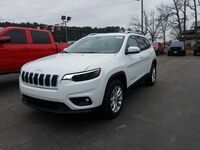 What are the Differences Between the 2019 Jeep Cherokee & the 2019 Jeep Grand Cherokee? 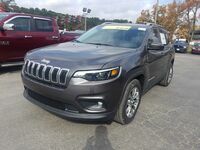 Both the 2019 Jeep Cherokee and the 2019 Grand Cherokee make engine upgrades available. 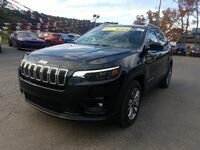 The 2019 Jeep Cherokee offers a 2.0L Turbocharged Inline 4-Cylinder along with a 3.2L Pentastar® V6 engine while the 2019 Jeep Grand Cherokee makes available a 5.7L HEMI® V8, a 6.2L Supercharged V8, or a 6.4L HEMI® SRT® V8 engine. All of these engine options provide plenty of horsepower, torque, and towing ability so you can take the 2019 Cherokee and Grand Cherokee wherever the adventure leads you. There is also exciting technology equipment inside both the 2019 Jeep Cherokee and the Grand Cherokee to keep you connected even when taking the road less traveled. 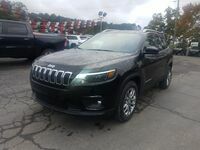 Both the 2019 Cherokee and Grand Cherokee get loaded with a standard 7” Color touchscreen display, Apple CarPlay™ & Android Auto™, Bluetooth® connectivity, and the Uconnect® 4 Infotainment System. 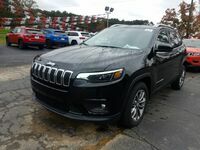 The upper trim levels of the 2019 Cherokee and Grand Cherokee get equipped with a standard 8.4” touchscreen display, a 9-speaker stereo with subwoofer, GPS Navigation, and HD Radio® while the 2019 Grand Cherokee adds the option of a rear seat entertainment system with Blu-Ray player and 19-speaker High-Performance Audio system. 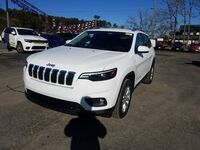 You can take both the 2019 Jeep Cherokee and the 2019 Jeep Grand Cherokee for a test drive today at Cowboy Jeep for an up close and personal comparison. Cowboy Automotive can also help streamline the Jeep buying process thanks to our easy-to-use online finance tools.